Detex a US based company, designs and manufactures best in class products with out sacrificing quality. 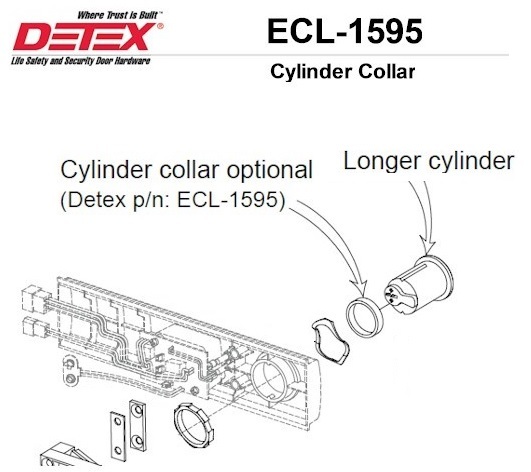 The ECL-1595 Blocking Cylinder Collar is need when using using a 6 or 7 pin cylinder lock. For more than a century, DETEX has earned the trust of millions of property owners to secure and protect their people and property. From their newest innovations in life safety and security door hardware, integrated door security systems, and guard tour verification, Detex a US based company, designs and manufactures best in class products with out sacrificing quality.